A dear sweet friend sent me an e-mail last week that contained the link to a blog post that made me think our telephone convesations had been bugged. It was the sort of thing that friends talk about... as in, I'm pretty sure you've probably talked about some of the same things with your "besties". It was one of those posts where you laughed, nodded your head, said, "... exactly!" a few times and then laughed some more. The post is titled "My 7 Dirty Quilting Secrets" and the blog is Crafty Garden Mom. It is written by Tanesha. Because I'm a girl who likes the occasional picture - even bad pictures - I'm going to include a few random pictures. Just because. My Mom's Mother's Day / Birthday roses. They're still looking nice - and yes, the roses have a teeny touch of green in them. I am not a perfect piecer. I never have been and with the way my eyesight is going, I'm not sure I'll ever get there now. Some days are better than others but the truth is that I have "issues" with that perfect exact scant 1/4". I'm usually just a thin thread's-width off. And you know what? Whatever. I don't really care. I'm not building a rocket that needs to land on Mars with pinpoint accuracy... okay, bad example... but you get the point. Perfect piecing takes time and practice - lots of it. It is a skill that takes time and work to perfect and I applaud those people who have achieved that kind of quality workmanship. I used to be better but the realities of life, work and such now means that there are weeks that pass without my getting to sew a single stitch. Yes. Weeks. So while there are things I will rip out and re-do, there are others that are "good enough" for me. Are you shocked? That sort of addresses that scant 1/4" seam thing too. It's important. I can give you a jillion reasons why... not the least of which is that it does make piecing easier. We - meaning you - should strive to achieve perfection... but seriously, I'm not going to fault you if it isn't perfectomundo. And while we're on the subject, if your piecing is perfect, don't go beating up other quilters because you're perfect and they're not. If you've entered your quilt in a show, then your being a little closer to perfect is commendable. But in a class or at a guild meeting... seriously, what purpose does it serve to make others feel badly about their work? I am not nearly as organized as I would like folks to think I am. Exhibit A. These are actual labels on some of the storage drawers in my workroom. I also have drawers labeled "Various & Sundry", "Random Rulers" and "Odds 'n Ends". I never should have read that Albert Einstein had a really messy desk because in my mind, that means I naturally, logically equate clutter with genius. Yes, I know where everything is. And yes, I finally got some of the scrap/odd-sized piece drawers sorted by color but that's as good as it is ever going to get because... the rest of that doesn't really matter to me. (I sort of wish it did but it doesn't.) My sock drawer is about the same way - the socks are in there. We're good. This might also be a good time to mention that I am a terrible "stylist". I don't "prop" well and I'm not good at "accessorizing vignettes". Where do people go to learn how to position the scissors "just so"? How many buttons do you need for it to be just the right amount of random? Is there a class for that? Yeah, yeah... naked envy is running amok. While I don't pre-wash anymore - it takes too long and it really is a chore - I am a bit obsessive about "prepping" my fabrics by starching and pressing them. The only reason I do that is because I'm too attached to my steam iron. I will not - repeat, will not EVER - give up using steam to press my pieced units and blocks. I know... the purists out there are mortified that I use steam to press my seams. They can get over it - now. I've said - written - it before and I'll say/write it again - I can make any block flat and square with enough heat and steam. Period. But because fabric does shrink when moisture and heat are applied, I take the precaution of prepping them so that happens before and not after. It's a case of picking my battles - I know which ones I'm going to lose. Just so you know, I do make it a point to recycle the plastic bottles from the starch. While I happily give quilts to friends and family, I'm tired of random non-quilting folks asking if I sell my quilts. Or worse, if I'll make them a quilt... you know, one that matches the couch in their living room. Just kill me now. I made "custom" quilts specifically for people or situations a few times in my life and each experience was worse than the one before. I won't horrify you with the details... actually, extensive therapy has helped me purge them from my memory. I'm sure you've had similar experiences. And will those same people also stop telling me that their "grandmother was a quilter." And "you must be very patient". (Yeah, right.) I sometimes think the only thing most people know about quilters is what they remember from the movie "Witness". I also have more fabric than I will ever need or use. And so what? I might joke about my "historical collection", that I'm preserving fabric for future historians but the truth is that I do sometimes feel a bit guilty about it. I do use it and I do regularly go through it and donate it to charity groups, guilds and Goodwill, but I still have a lot. And having too much doesn't keep me from adding to the stash. But I also know that the choices I make are mine - nobody else is paying my bills. I am also keeping it for my mother. If something "unexpected" should happen to yours truly, all that fabric is guaranteed to mean my Mom will have lots of company, well-wishers and "assistance" in the days - hours? - after my untimely demise. Though I don't know where "my friends" are going to park all those U-Hauls... but I also know that won't be my problem. And like Tanesha, I don't always enjoy the online quilting community as much as I wish I did. While the overwhelming majority of it is inspiring, creative and energizing, there are aspects of it that are frustrating. From Pinterest - oy vey, that's a topic on it's own - to blogs, I think I'm finding it all a bit less enjoyable because so much of it has become a business, or all about business. I will happily admit to sometimes thinking "a pox on BlogHer!" While I completely understand that blogging can be a lucrative business - Pioneer Woman? - so much of it now is about advertising. Yes, I am as guilty of doing that as anybody else on occasion but are you starting to feel like the only buzz that is being created by all the blog-hops and social-media-cross-pollination is one big Zzzzzzz? Do you simply download the free pattern, leave a comment to enter the drawing for (fill in the blank) and ignore the rest? Whew. I think I feel a little bit better getting that off my chest... so to speak. I'm going to go get a glass of wine and sew a bit before I go to bed. Huh? Yes, I occasionally enjoy a glass of wine when I sew. That sort of explains the imperfect piecing, doesn't it? Thank you for admitting that you always use a steam iron! I was beginning to think I was the only one out there who still did that. I found that blog over the weekend and loved it. I think we all have our little secrets. I also really appreciated the remark about not "judging" other's work. I always say nice things when people show their quilts! I love this! It just proves we are not perfect and really who the heck wants to be. We all take shortcuts, so what, do what works for you. If there is no enjoyment in the process and the quilty police are always watching then why do it. Yes, I'm so sick of blogs where you have to jump through hoops to enter their contest, "like me on facebook, follow me on twitter and pinterest and to the koolaid...." I just give up and say it's not worth it. I'll go to the next blog. And don't feel you have to respond to my post :) my feelings will not be hurt. I am a big girl. LOL!! Posts like this are exactly why I look forward to reading your blog so much! I love to use steam & starch too, and have been told bugs will come and eat my quilts...oh, well. I never expect a response to a comment on any blog....you could spend to much of your life doing that. :-) Thanks for being honest and courageous. Thanks for the laugh and the honesty... I can relate! Thank you so much for this post. I am still a quilter in process. I don't sew a perfect 1/4 inch seam and often feel like I should stop quilting because of that. Thanks for sharing that you aren't perfect either!I am going to sew today and enjoy it. I also use a steam iron. Thanks for the comments about not judging each other's work. Great point. I don't always have a lot of money to buy quilt shop quality fabric and have to buy cheaper fabric. I think as long as you enjoy it do it. I never wash fabric, use a steam iron and very seldom,hardly ever answer comments. Seems you're just like me. Thanks so much for your post, and for the link to Tanesha's blog. The last item in particular has become a sticking point for me. I enjoyed blogging about quilting, but lately I haven't wanted to quilt at all, much less blog about it. I've felt more and more that there's an expectation from the blogging community that I just can't (or don't want to) live up to. Instead of saying "to heck with it, I'm doing what I want," I've stopped doing entirely. As for replying to comments, when you get 5-15 comments on a post like I do, that's one thing. I do feel I should reply to them via email. But you receive so many comments that it's unrealistic to expect you to reply. I think anyone who follows your blog would be astonished if they DID receive a reply. Carrie...you are just too cute! Myself as many many others can relate, but I'm not sure I could of said it as well. Thank-you for the most enjoyable read while enjoying my morning coffee! I am completely crackin' up - probably not what you thought I'd do. I haven't been to Tanesha's post yet, but I'm sure I will be shaking my head "yes" to many things she has to say.... I secretly say these things in my head, especially about the peeps in my life and the ones I come across, that think I can whip them up something like on my next time upstairs, or on the amount of fabric in that upstairs loft, and won't the floor cave in, etc.... I enjoy what I do, and concur, they don't pay my bills!!! I don't jump thru the hoops for anything any more, even in my boring, personal life. So much drama, some times - it's more enjoyable to be with my grandgirls and pretend, I'm their age - lol! Love your honesty, openness, and humor!!! Your thoughts should be a reality check for all those quilt police officers out there, who by their self-righteousness attempt to take the fun out of quilting and blogging!You go girl! Love your blog and quilts! Just finished your Gentle Arts...and did it my way! Wish you could see it! BRAVO!! Thank you for an very entertaining post and a link to the post that inspired you. I practically pulled a muscle in my neck nodding in agreement! Amen to your shared thoughts. I especially am frustrated with the advertising on blogs. In the past year I have been reading quilting blogs, I have noticed a huge change. I started to write one or two of my previously favorites that have gone to the dark side, but decided better to just keep my words unsaid. So thanks for sharing your views. I've read both blogs & I completely agree!! Previously, I thought using heavy steam was my little secret! I even replaced a fairly new steam iron a couple of years ago because it didn't get hot enough or make enough steam to satisfy me!!!! And, I'm pretty sure anyone buying stock in Mary Ellen's Best Press will get a good return on their investment because of the amount being sprayed on my fabric!! I also don't do "show and tell" at Guild because I don't want my skills, or lack thereof, to be 'judged!' When I retired I said I wanted to learn how to make quilts...for my own pleasure & lifelong love of sewing. Why is it assumed I will cheerfully hem pants & mend holes (not small holes, either) for others??? I didn't say I wanted to take in alterations work--I said I wanted to make quilts! Please don't feel you need to reply...this just gave me a chance to add to vent!!! I'm glad Tanesha started this conversation. Sounds like a lot of us feel the same way. I get a kick out of random co-workers who want their pants hemmed. Um, no - I don't sew clothes - ever. And my sewing machine doesn't "go" unless there's a glass of wine nearby. My sewing room = my happy place. Hugs for Rosie - please keep blogging~! Truly enjoyed your blog today. It was refreshing to hear that so many quilters quilt because they enjoy it and do what they do because it's what works best for them. I'm included! Carrie, great post and thanks for the shout out! 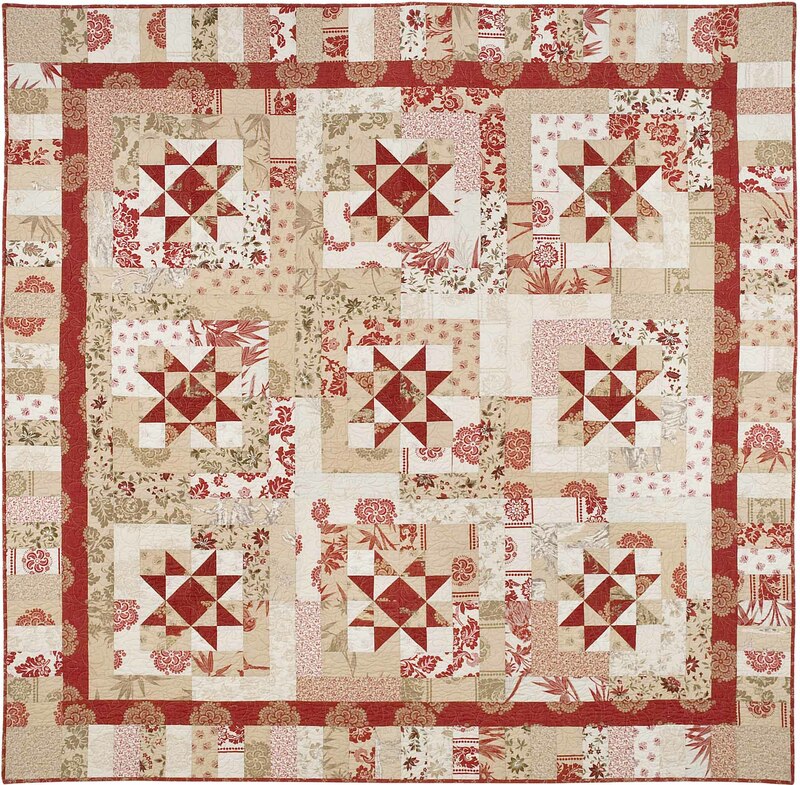 Thanks for sharing your "dirty secrets" about quilting...it's refreshing don't you think? LOL. I love this post, Carrie. It is all so true!!! I LOVE your comments!!! Thank you for not being perfect! In my opinion, there are "art quilts" and "traditional quilts." I appreciate and admire both, but frankly, I prefer traditional, utilitarian quilts that are thrown on beds and USED. They are not perfect and were intended to be used and worn out; they are scrappy and sometimes wild, but they are lovely. I refuse to be dictated to by the "quilt police"; I will do what I do because I prefer to do it that way. Don't even get me started on blogs that clutter their pages with advertisement. . . It's nice to know that you and all the ladies who've posted feel as I do. I was raised w/a steam iron in my hand, so the thought of not pressing each seam sewn is totally foreign to me. I USED to do alterations but my family seems to forget that is past tense. I enjoy a beer while my quilt buddy likes her glass of wine when we sew. It's a HOBBY and hobbies are supposed to be fun. I agree w/the comments about blogs and have actually read a few lately that have become vicious. Why?? I don't read those now. Love your blog and I never knew that bloggers commented back so you're in the clear w/me. Hurrah for almost but not quite 1/4" seams. If it fits together I'm golden. It looks like you found a tactful way to say what lots of us are thinking! I, too, am a starch user. And a heavy steamer. And I owe that to YOU! Remember your post about starching every piece of fabric, no matter how small, so that it doesn't shrink? Best advice ever. Even my longarmer appreciates it. I do realize that sponsorship might help to defray the cost of some blogs. But it becomes all to obvious when 6 bloggers are all "loving" one particular collection all at the same time. And I refuse to enter all those ridiculous contests. I'd actually rather spend money on fabric that I LOVE instead of having a big stash of uglies. On comments - I seriously never expect a reply, but it is always a really nice treat when I receive one. My gripe is the bloggers who get 0-3 comments and then write a post about how they're way too busy to reply. Because then I think that maybe I'm too busy to bother reading. All they really need to do is turn comments off and that will solve the problem. Thank you so much for this post, it's so true. I just sew for myself or really a few special longtime friends. I sew because I enjoy it and that the only reason. Sometimes I feel bad and perhpas a bit left out because I don't have a blog BUT I don't have time for it and I feel uncomfortable about a own blog. My quilting skills aren't the best but I do my best and I have a 28 yo domestic sewing machine and not some fancy stuff. So perhaps my quilting is simple but it's mine. There're a lot of good blogs I love and visit daily. And of course I love a good giveaway. But there're blogs I visit just once or for a giveaway and then never again because there're just not my taste. My hero! yes, my stash is big and I keep buying but it's my money and my hobby. I love steam, makes my blocks look great and my piecing a little better. I make quilts for those I want too, my time, my choice. I don't have a blog because I don't have enough time to do everything I want too as it is. Read blogs I love, almost always comment because if you take the time to share I certainly can take the time to say "Thank you" or "I love it". If you email, great but I feel like owe you the comment not vice versa. I am still taken back by how rude some people are in the biosphere...where are their manners. Lots of pets for Rosie and Hi to your Mom. I read Tanesha's blog and yours. I must say that I agree wholeheartedly! WOW! I am the "steam queen". I am offended when people ask me to do alterations. DO NOT EVEN ASK ME TO MAKE YOU A QUILT! EVER! If I want you have one of my quilts, you will have one. Perfection is nice, but not always attainable. Oh well! As for art quilts, I appreciate the work that went into them, but they truly leave me cold. Also, these "Modern Quilts" don't do much for me either. How many more ways are there to combine large squares and rectangles? But it does get young people interested in quilting, and that's a good thing. I sewed a block upside down into a top recently, and really had to ponder whether or not I would un-sew and turn it around. I did. I do pre-wash because I don't want to deal with the preservatives in fabric, and I do starch sometimes. I have a long-arm. It is for my own use. I don't care to and will not quilt for others. I do not have to justify owning a long-arm. Or my stash either! If you want to use my long-arm to finish your quilt, come on over, and I'll give you a lesson and get you started! Glad to know that I am not alone! You make me laugh. Thank you for being you! I enjoy your blog and patterns. I started my own blog almost a year ago, but lately I had thought... do I need to do a giveaway or something? Now I know I can just blog for the reason I started it ... me. And my quilt history. I hope that anyone who stumbles upon it enjoys reading some of my posts, but it is more for me and and outlet to talk about a hobby I have come to love. I loved your post, Carrie! And I'm so glad you aren't a perfectionist! My socks are in my drawer too and I'm good with that! If I took time to make everything neat and nice, living in a house with 6 males, I'd NEVER get any sewing done. My motto is: "It's good enough!" (that goes for food, laundry, bathrooms, flower beds, etc, etc.) That works for me! Thank you for that part about blogging. I feel the same as you--and it's said better than I think I ever could. I try to keep a clear eye about why I do it--to share my love of quilting. Period. Somedays I wonder if I could quit that English teachery job of mine with so much grading, and sell some patterns on the side, but then I look around and the things I want to design and make, you and others already are making and selling them. And I can figure out just about everything else. So I guess I'll keep my day job. Thanks for the other true confessions. And no, you don't have to reply to this! Thanks to everyone who is having this conversation. I'm breathing a sigh of relief that it's not just me ;-) Many times I wonder if I'm alone in some of my quilting thoughts. I guess not! I enjoyed reading the comments! You are awesome. This is awesome. I expect a reply to this reply. Pronto! Thanks for a great "laugh out loud" post! I love reading your blog! I came across it after checking our Sinta's blog (I used to be in the same guild and know her from the local quilt shop) It makes me feel like I'm hearing the news from a friend. Keep it up. Hugs to you, your Mom and especially to Rosie. And you do not have to respond to my comment! Life should be easy. Especially in summertime. OMG! You deserve flowers, candy and a gift! Thank you *so* much for telling the way it is for me (and I bet a lot of us)! I saw the other post as well and you both made me laugh and celebrate the seldom written truths about blogging and quilting. Your random drawers made me smile- I have drawers like that too- Just in case you think you are the only one with random drawers here is something that I hope will make you smile.. years ago, my MIL went to help a cousin clean out her house for moving. She found that the cousin had labeled a drawer- pieces of string too short to use- and another drawer- dead batteries ( this was before the time that eco disposal of batteries was the thing to do)... This always makes me grin when I think of some of the junk that gets tossed in my drawers. I always enjoy reading your blog Carrie and so appreciate your sense of humor and joie de vivre about life. Thank you! You make me feel better about my own quilting/sewing imperfections. I managed to sew a zipper correctly into a simple pouch last night, and it was a major victory! A scant/perfect quarter-inch continues to elude me, although I've gotten better. And my cutting "skills" - I try hard, but sometimes it's just not pretty. You've brightened my day considerably. And I thought it was just me that felt that way about some of the blogs, blog hops, etc....no matter how hard I try I will never/always have a perfect 1/4" seam, and I tell my husband I have enough material/kits to last three life times, but I'm still going to buy more, that way he'll be able to have a huge garage sale when I'm gone and see lots of women and make a few bucks! I think the wine and sewing sounds like a great mixture to me! I am a knitter who quilts a little, and NO, I will NOT spend up to $30 on yarn and I-can't-even-count-how-many hours of my limited free time knitting a pair of socks for you. The fact that you would ask me that tells me that you couldn't even begin to appreciate them. And NO, I do not sell them---I can't compete with Old Navy or WalMart, nor do I want to. (You don't have to answer my post---I am happy just to have a chance to vent among people who will understand.) I do read your blog, however because your quilts are beautiful and I appreciate the tips you post. I also enjoy reading about dear Rosie and your teaching adventures.